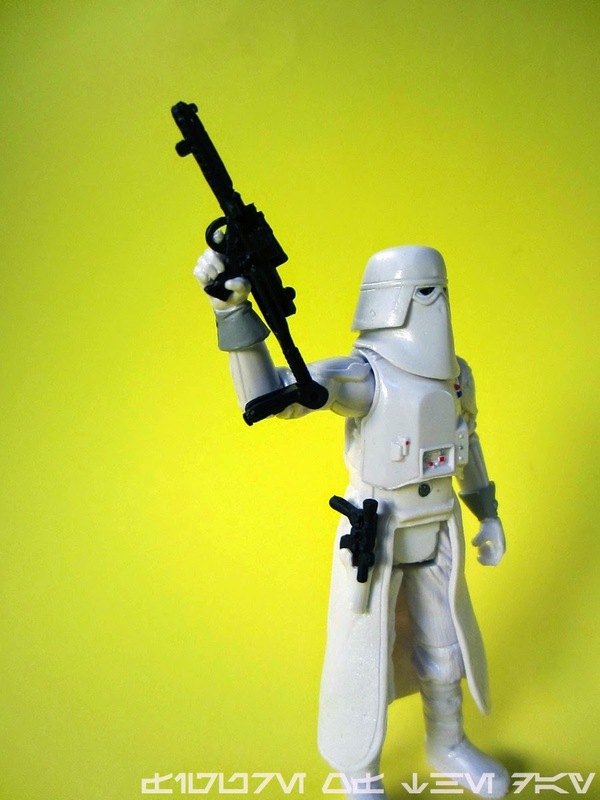 Commentary: While not always labeled as such, we've had a few Snowtrooper Commander figures since 2003 or so. Most of them were pretty action-oriented, and they all shared the same torso (although there was retooling in 2006 to fit in a removable helmet and a clone head.) This version is unique in that it has a ball-jointed helmet, so it rotates freely and looks great. 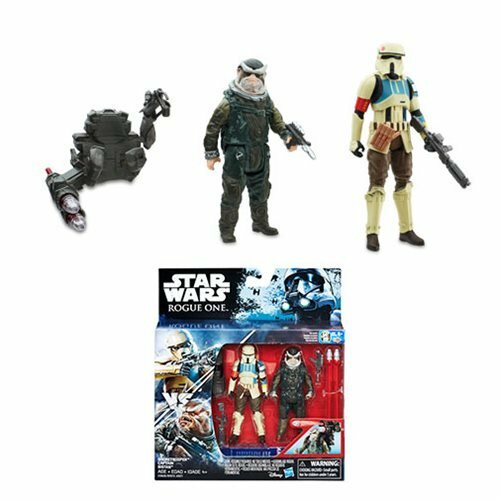 The smooth mask looks just like what we saw of the commanders on the AT-AT, and the poses are limited by the 14 points of articulation. Even though he should just stand around and nod, it's nice to have options. Rotating writs give this all-new sculpt a lot of personality but also pop off incredibly easily. To get him to hold his three-piece rifle, it's easier to remove the hand first because you're going to knock it off anyway. The plastic kama prevents sitting, but again that's OK since this figure exists mostly to stand anyway. Hasbro gave him a torso that bends forward and in all directions, and for the first time ever his kama has a holster for a bonus "Han Solo" pistol. Two guns, wowie zowie! The figure's sculpt is crisp, his paint is clean, and the "cloth" parts aren't overly wrinkly. This may well be Hasbro's finest Snowtrooper, with the recently released Saga Legends version being a great, cheap henchman. Or it would, if you had a chance in Hell of finding one in American shelves right now. 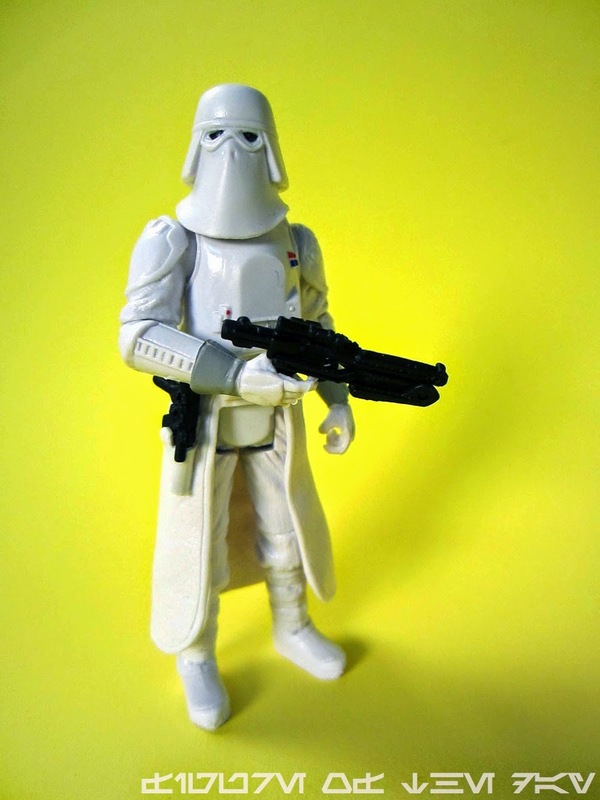 Without question, if you can stand another upgrade, go get this Snowtrooper Commander. It's great. It lacks mud. You're going to love it, or at least like it. Commentary: New-to-action-figure characters are scarce. 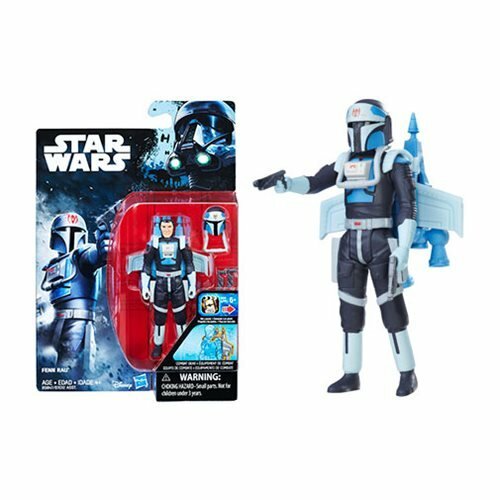 As of wave 4, The Black Series had a grand total of 3 never-before-action-figure characters in the line. 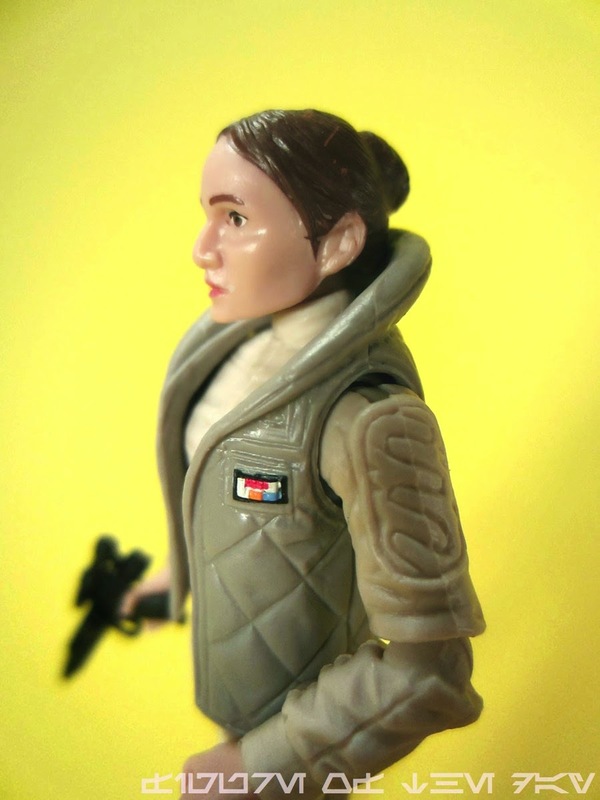 Toryn Farr is the first new non-exclusive Original Trilogy figure character since 2012. 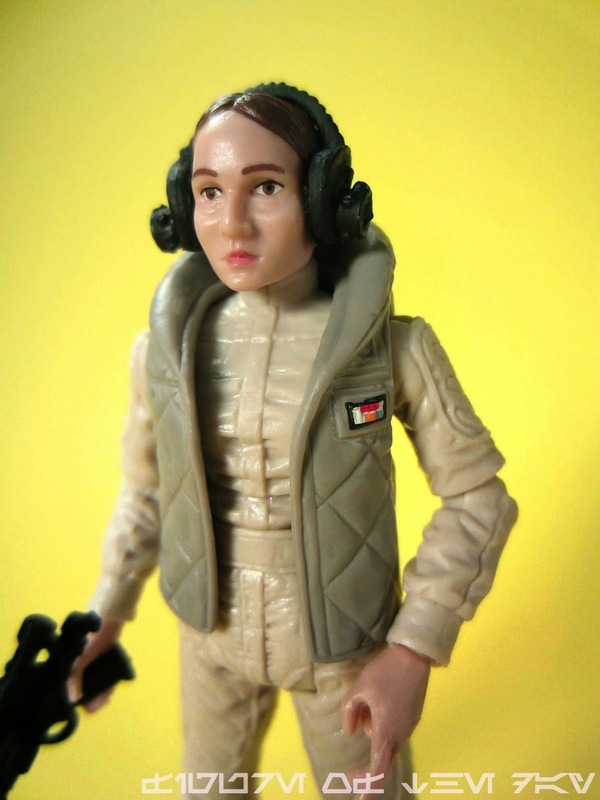 The last new-to-modern figure was Lumat in late 2012, while the newest all-new original trilogy single-carded figure to never see a toy release before Ms. Farr was the Mon Calamari Rebel Pilot of February 2012, and the last all-new original character to get a toy debut that actually appears in the movies was (Jeepers Creepers) Bom Vimdin, way back around July of 2011. 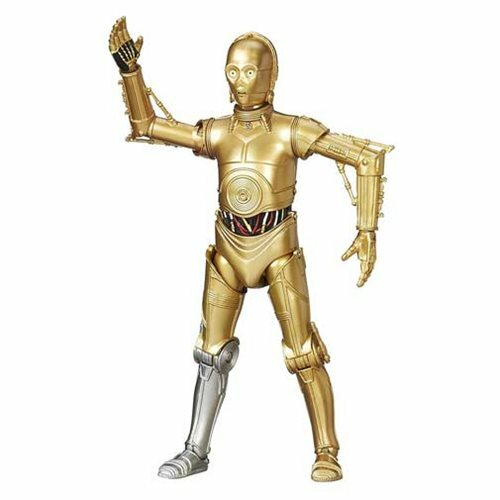 So kids, if we're talking about screen-used original trilogy characters, it has been three years since the last completely new, fresh, unquestionably you-don't-have-it-in-any-form introduction. This, friends, is why the 6-inch line interests me so much. Believe it or not, Toryn Farr has been requested by some fans over the last few years. She sat at a communication station on Hoth, and she didn't even have a name until Decipher made a card of her in 1996. 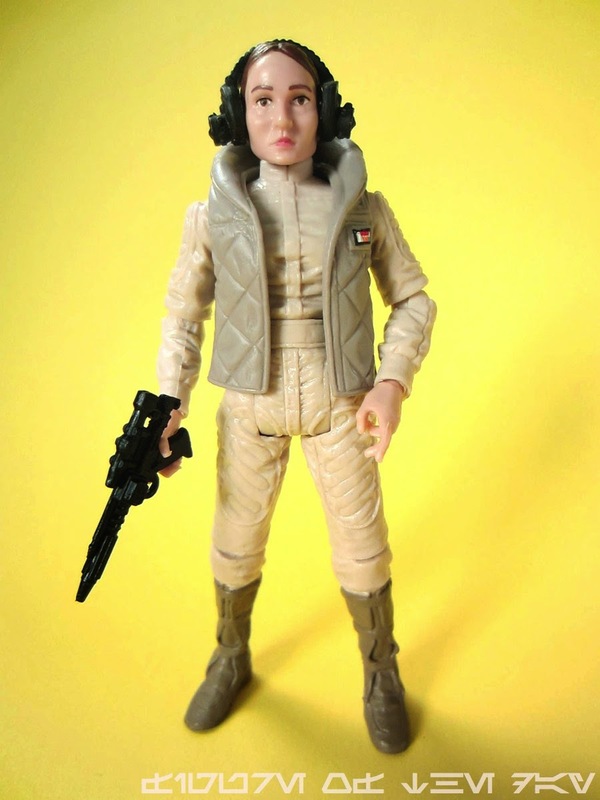 For this reason, Hasbro wisely took a shortcut when making her and took the Hoth Leia body from 2010 and gave her a new head, new forearms, and a new vest. 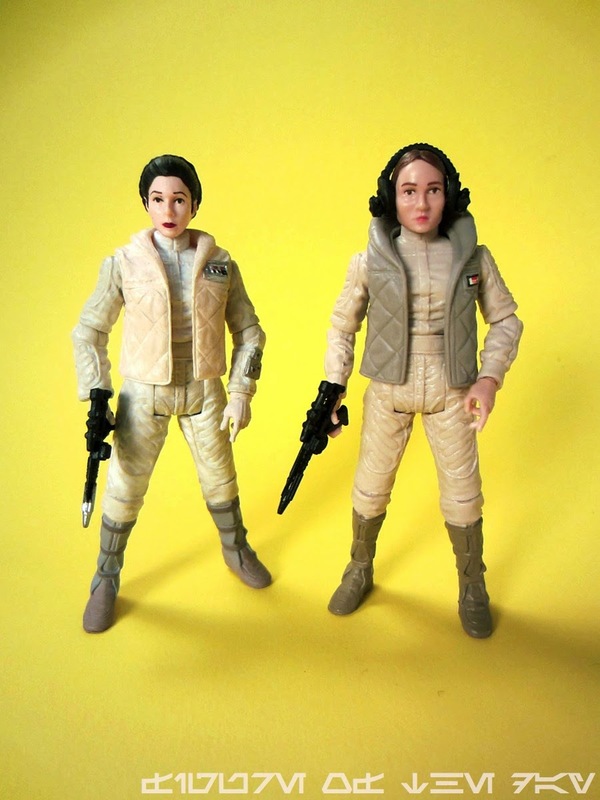 The hands are un-gloved, and not just Leia's hands painted a fleshy color - kudos, Hasbro. The jump suit is what we old, jaded fans call "close enough." A certain quantity of reuse is more or less expected, so the missing cylinders and a different neck closing are things we just have to deal with - it's probably not worth tens of thousands of dollars to tool new arms and new torsos for Hasbro for a character like this. The head sculpt is new and good - she looks like a cousin of Mon Mothma, and while she doesn't seem quite as youthful as her on-screen inspiration she's still quite good. The headphones are a perfect fit, and the gun is a rough fit in her hands - you can get it in there, but it's a struggle. She can sit, she can stand, she has a 2009 copyright stamped on her person. Overall it's a clever reuse of an existing mold, and certainly more than good enough for my needs. There are so few ladies of which to make toys in the original films, anything is always welcomed. The eye paint on Ms. Farr is arguably the best of the new heads of the wave, and I really think the reddish brown color is perfect. Also perfect: a tiny little badge on her vest. The paint job is tight and clean, worthy of praise and another great new figure. Old school fans won't have long to wait for the next all-new character - Sgt. Doallyn is due in wave 5, and R5-G19 is supposedly still on deck for this year too. And then... who knows? So buy Toryn Farr, trilogy fans, because Hasbro isn't giving you a lot of all-new opportunities to show your support for this great line. Granted, there aren't too many left - that's what happens after a couple thousand plastic men. Commentary: Since his debut in 1980, Yoda has had quite a few figures for a character with basically 1 1/2-costumes at best when it comes to the movies. If you want to feel really old, the last all-new sculpts for original trilogy-specific Yoda figures were in 2004 for The Original Trilogy Collection, when we got a really nice $5 basic version and an arguably not-so-nice $10 "Vintage" version. 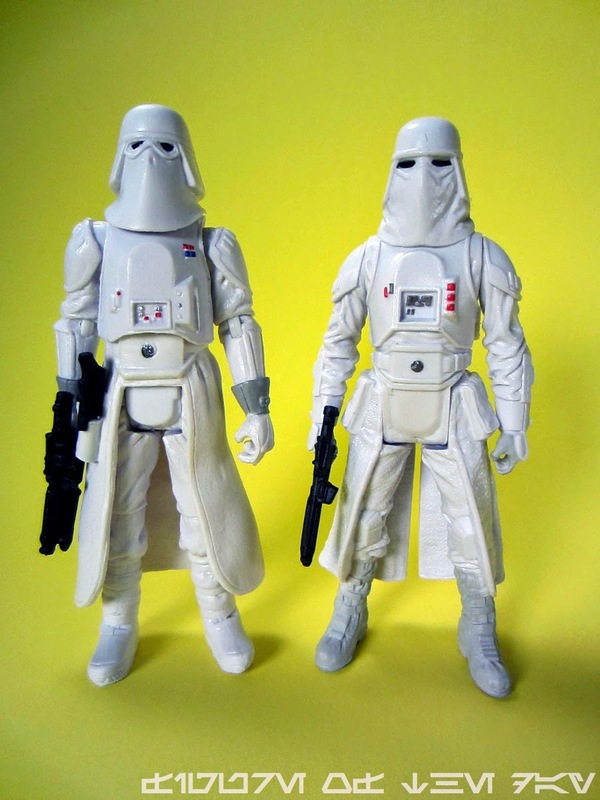 This figure is somewhere in between those two - actually, it's probably closer in tone to the 1980 original. 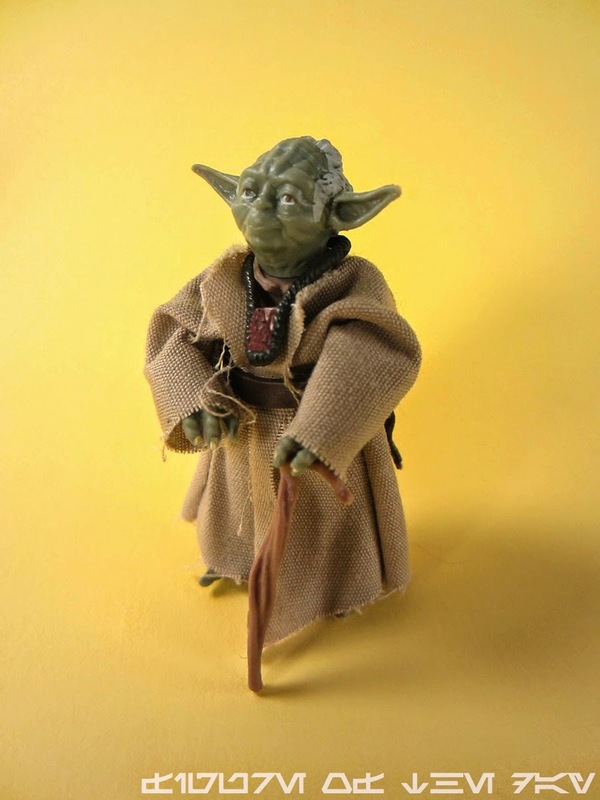 Yoda has but 5 joints, a cloth robe, a belt, a cane, a sack, and a removable neck flute. The sculpt is OK, but the robe is put on so poorly that you will need to take off the robe and futz with it to get it to look semi-decent. And truth is that it can be made to look semi-decent rather easily - it isn't great, but the problem is Hasbro has to see the light that cloth accessories at a 3 3/4-inch scale are a dubious proposition. When you have a character that never really needs to sit like Empire's Yoda, a sculpted version is arguably better - and also easily available between the 2004 Original Trilogy Collection version, and the Jedi Training on Dagobah Battle Pack (2007-2009). But, I digress. The sculpt of this Yoda feels a little smaller than previous releases, and he earns points for that. 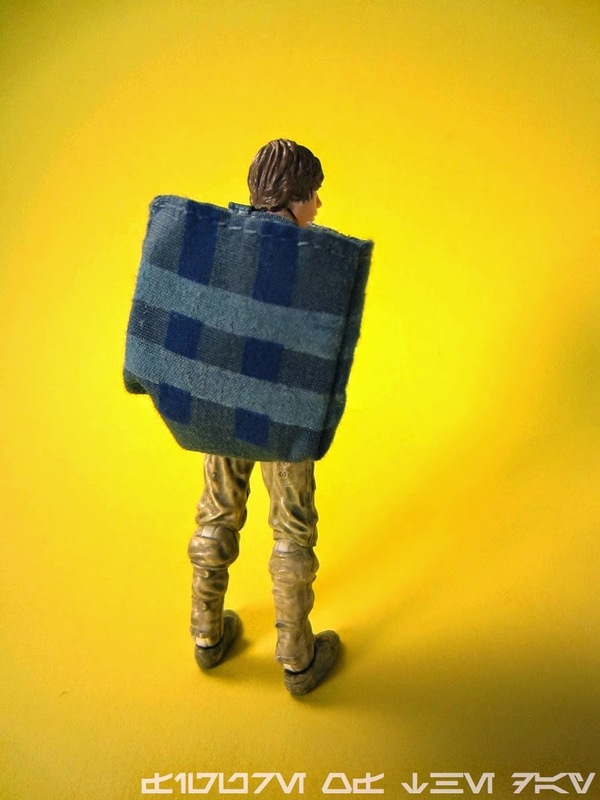 The figure was clearly designed to sit in a backpack and wrap his arms around Luke's shoulders, like in the training scenes in the movie. He does this well - the included knapsack is a little too large and baggy to really click for me, especially when compared to the streamlined 2004 version. It does fit on Luke just fine, and Yoda fits in without a hitch. It is functional as all get out, but gosh is it enormous. I have some giant canvas tote bags and I think this is scaled larger than those are. The straps fit Luke perfectly, and the buckle not only works but looks good. Hasbro deserves a medal for that. It's not easy to do, let alone do without being clunky or baggy. Yoda's flute fits perfectly around his neck, the cane fits perfectly in his hand, and the figure's face sculpt is good. Luke with Luke there's a tiny bit too much white paint on his eyes, but he's sad-eyed and has a lot of personality. The fact he has been downgraded to 5 points of articulation at his price point just plain hurts, mostly because we've seen more with older figures - of course, Yoda's more stable here, but I don't think we really got our money's worth. The cloth robes obfuscate the rather nice sculpt, and are a little too clean. Soft goods work great for prequel Yoda since he's not a mud hobo, but this version should be a little dirtier or more torn up - and for the money, I have to assume it could be done. It just wasn't. The robes fit fairly well if you're patient, but I'm not, and I kind of want my figures to look good before I open the card - I'm not a carded collector... but I feel for those of you who are. New fans will probably love it - it's a nice Yoda! Those of us who have bought over 20 Yodas may look at this and prefer older ones, despite the fact Hasbro did make something quite good here. The sideburns on Yoda look a little funky - it seems they painted bare skin and not sculpted hair - but maybe it's just mine. If you've got money to spare, the combination of Yoda and Luke is pretty good and worth a look. 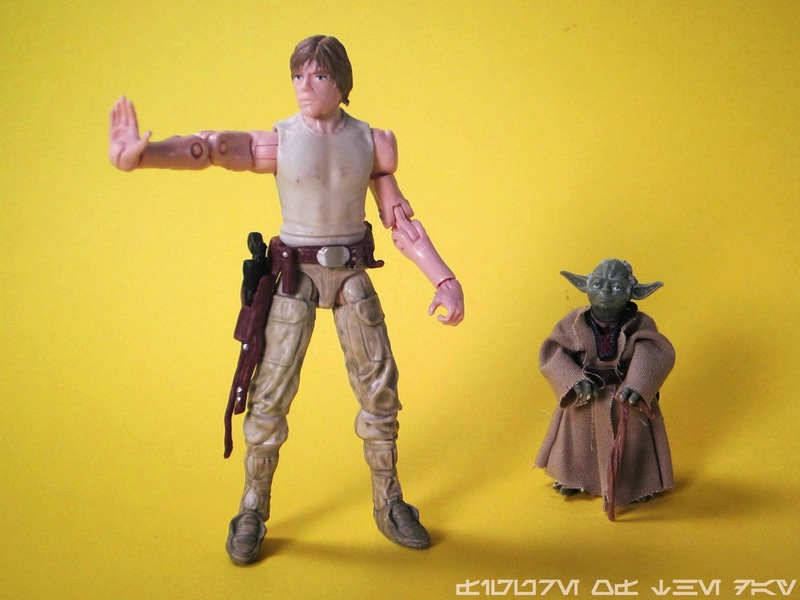 Luke in particular is a milestone that fans will likely be mad Hasbro won't reach for again - it's so obviously someone pulling out all the stops, while Yoda seems like someone pulled out a couple of stops. 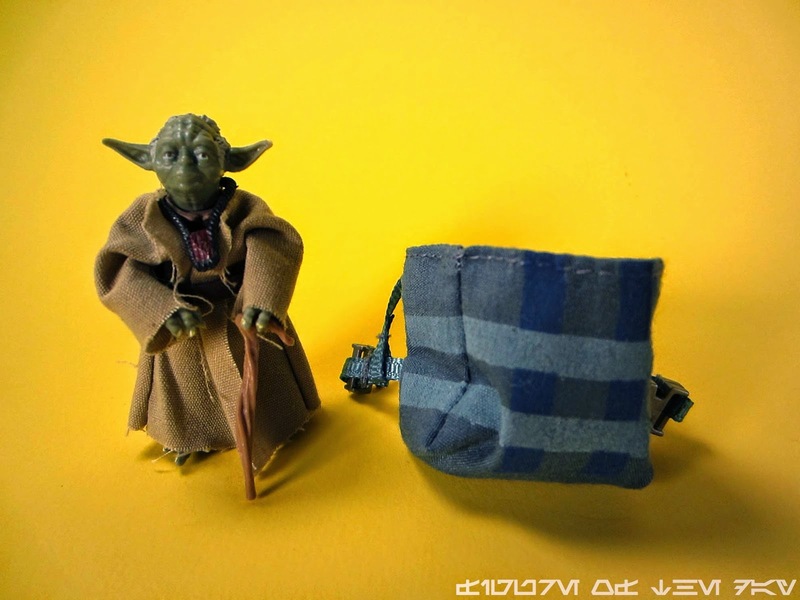 There's nothing really terrible about this Yoda beyond the price and the baggy backpack - the figure's good, the accessories all fit, and it's friggin' Yoda. It doesn't matter if you hate him - if he hits stores, casual fans will buy it if you pass.